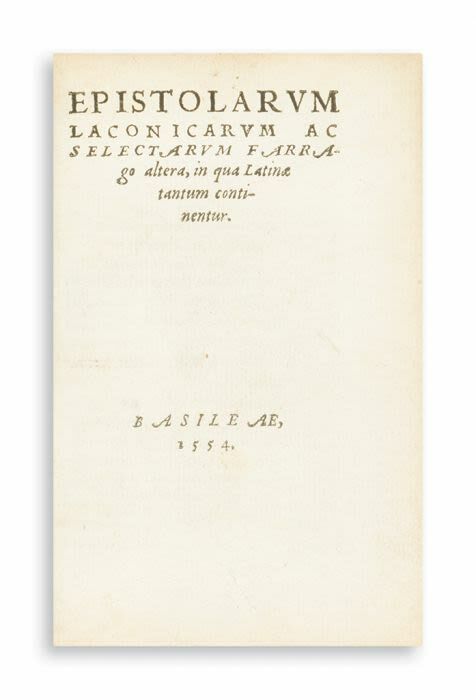 Epistolarum laconicarum ac selectarum farrago altera, in qua latinae tantum continentur. First Edition. Part 2 (of 3). The humanist Gilbert Cousin of Nozeroy (1506-72) was, most notably, private secretary of Erasmus.